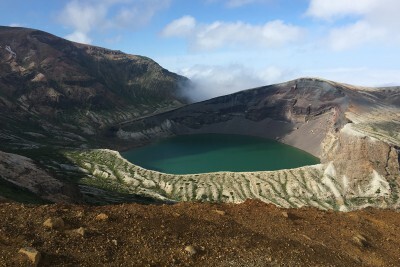 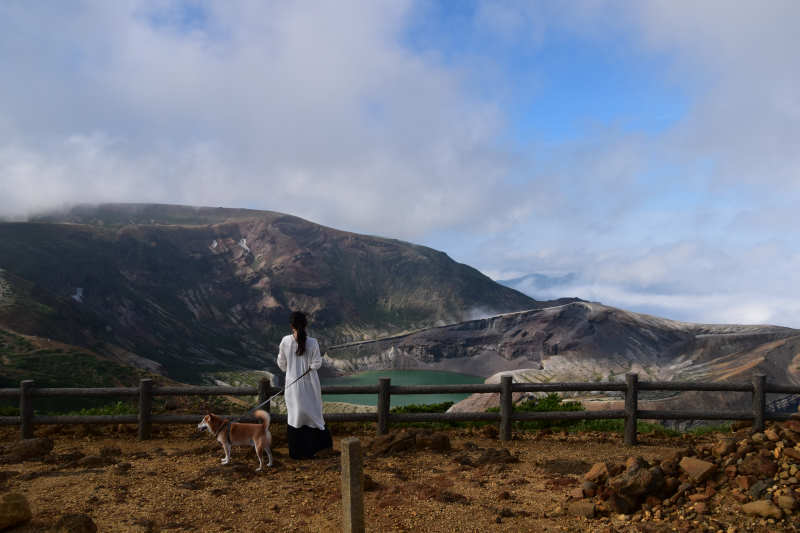 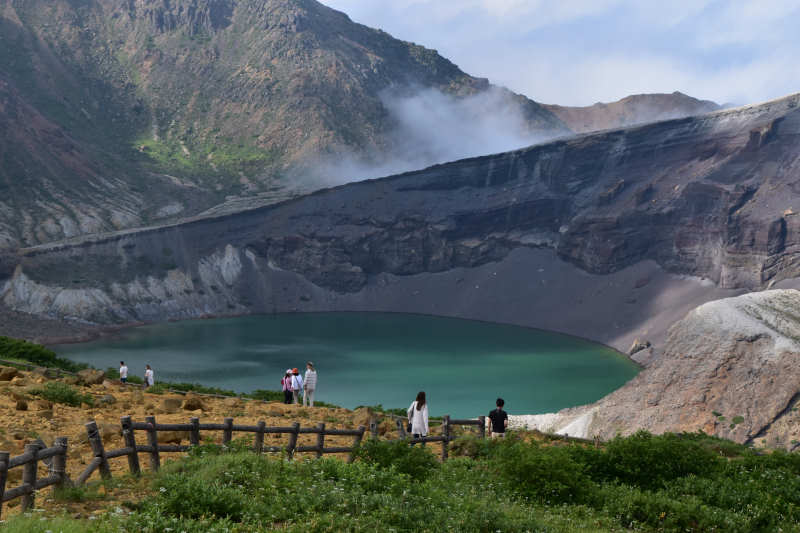 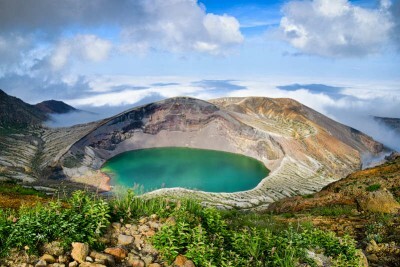 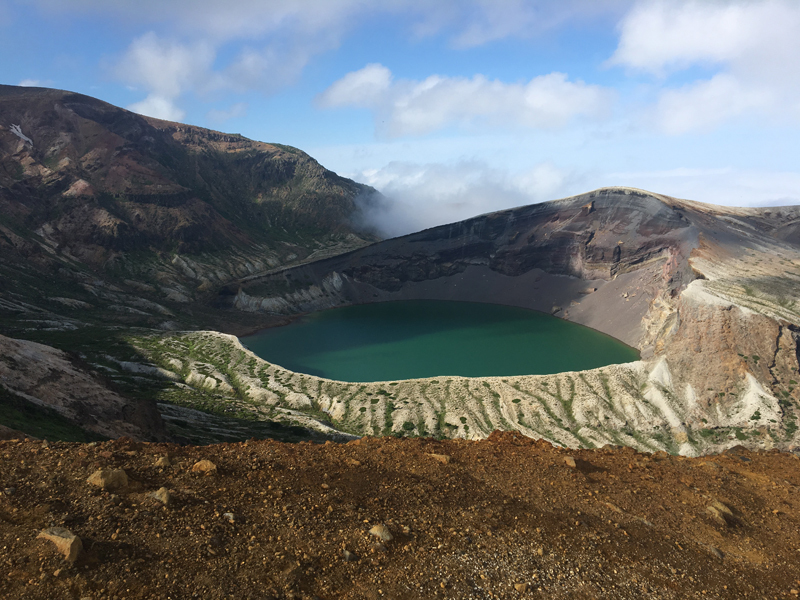 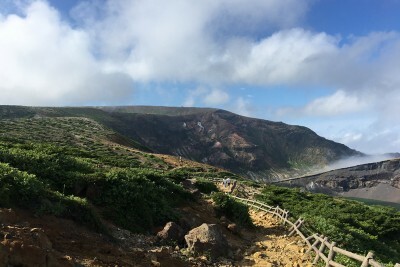 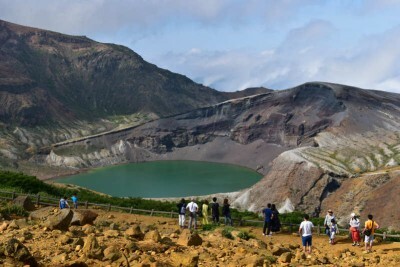 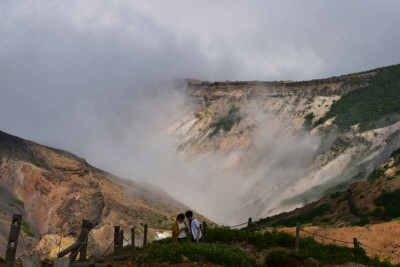 Zao Okama Crater（蔵王御釜）is one of the most famous mountain in Tohoku, Japan. The active volcano features a beautiful crater with lake and famous as a spot that is pleasant for strolling through (May to October). 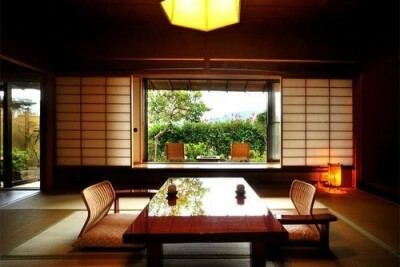 *Okama means rice cooking pot in Japanese. 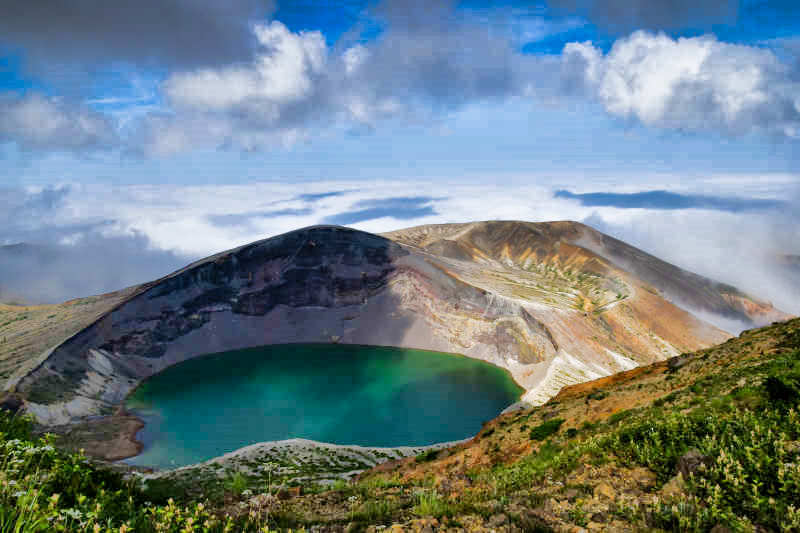 Zao is one of Japan’s leading ski resort regions and famous for its snow monsters as well. 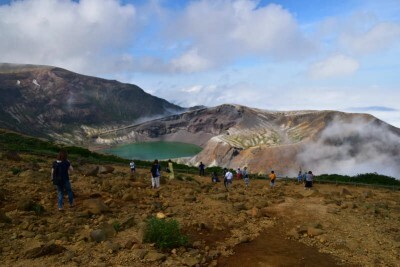 160 min by JR Yamagata Shinkansen from Tokyo Station to Yamagata Station. 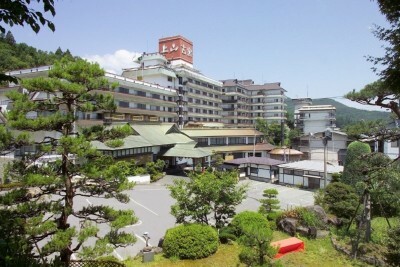 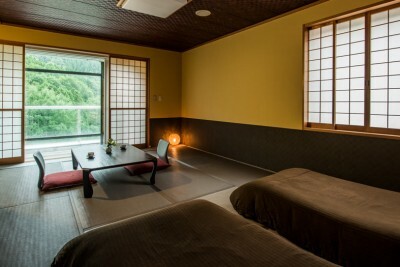 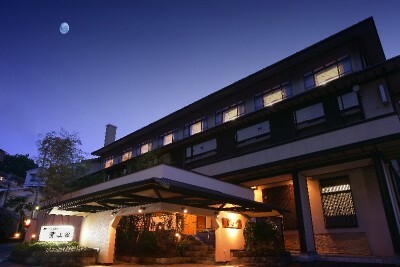 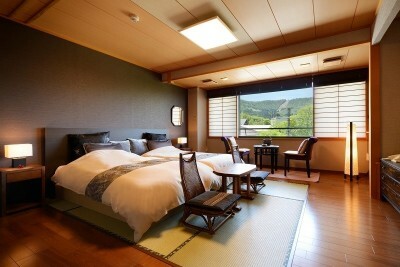 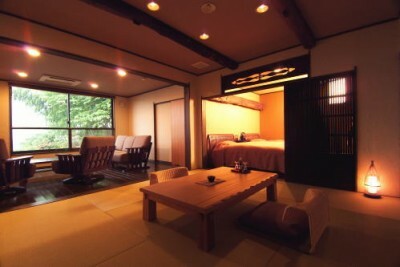 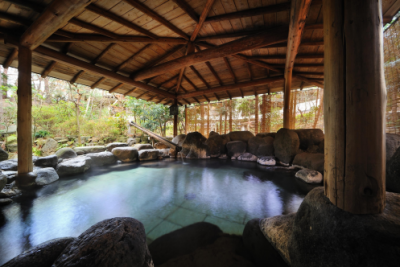 40 min by bus from Yamagata Station to Zao Onsen Bus Terminal (蔵王温泉バスターミナル). 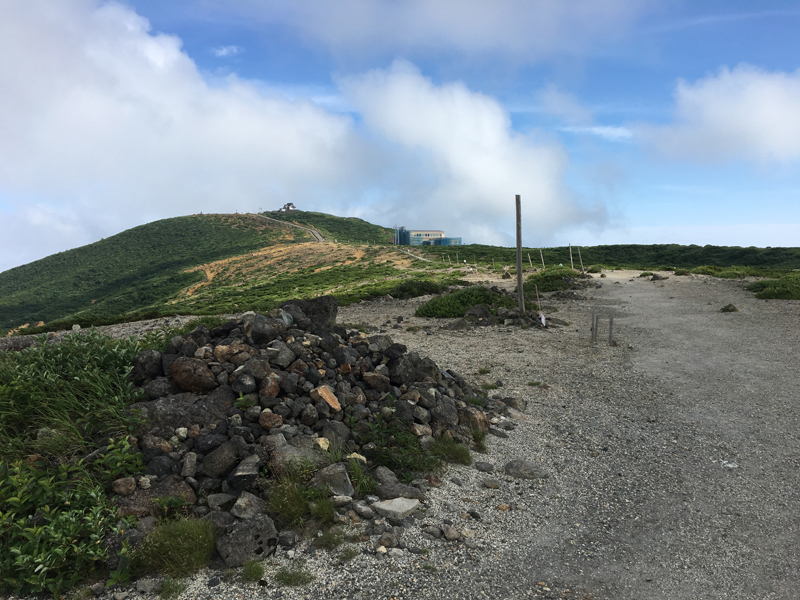 Then, take Zao ropeway from Zao Sanroku Station (蔵王山麓 Altitude: 855m) to Jizo Sancho Station (地蔵山頂 Altitude: 1,661m). 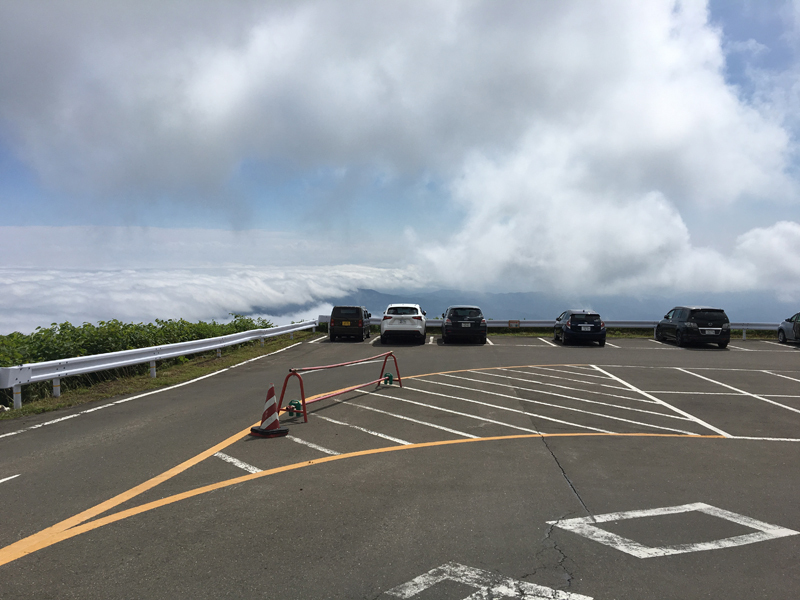 20 min, 1,500 yen (One way). 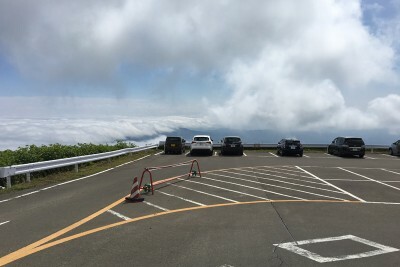 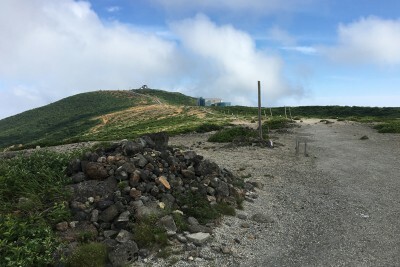 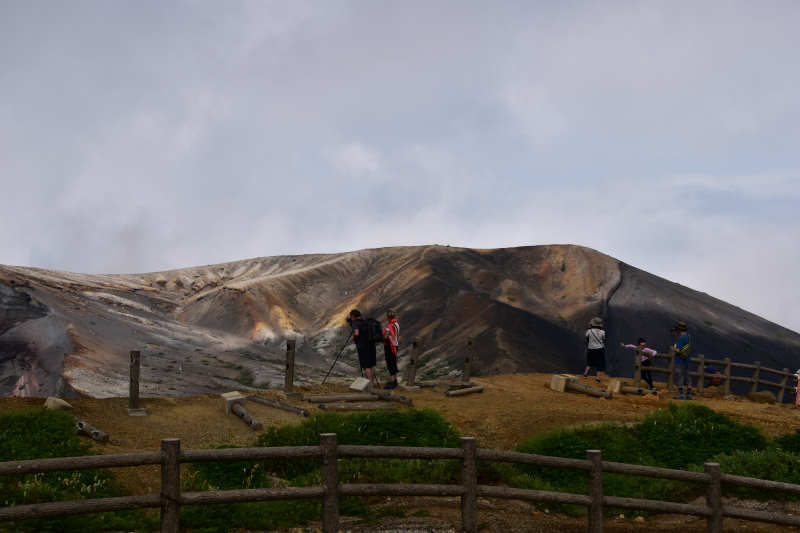 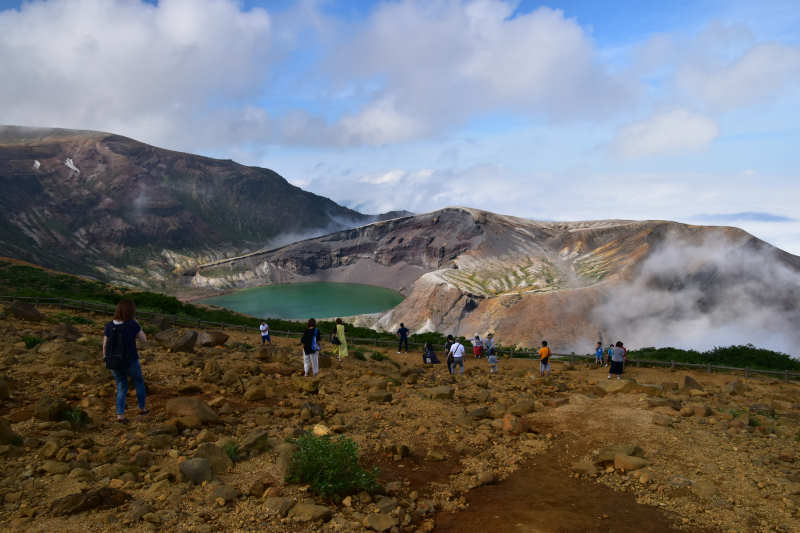 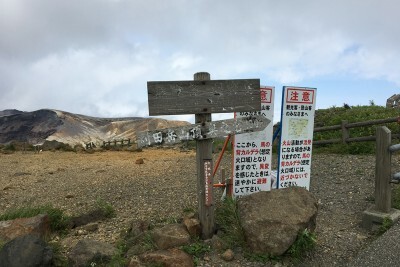 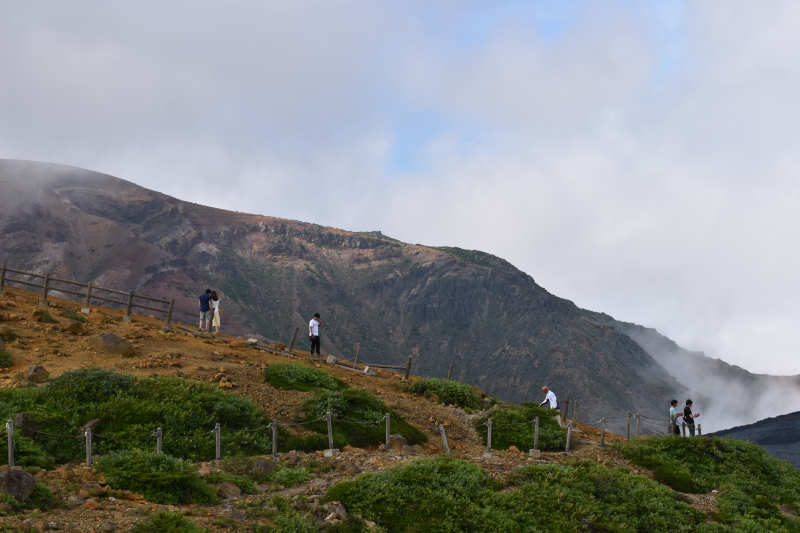 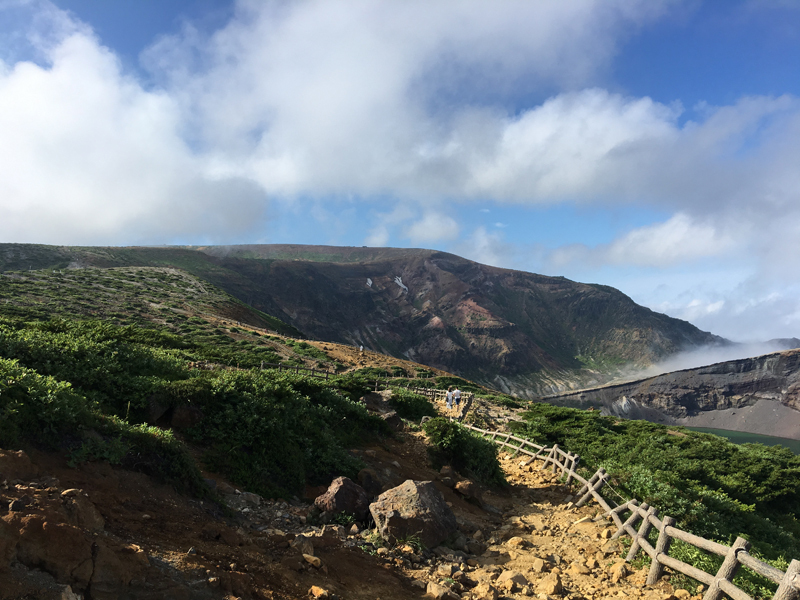 Operation hours: 8:30 a.m. – 5:00 p.m.
Zao Okama Crater is 1 hour on foot (hiking) from Jizo Sancho Station. 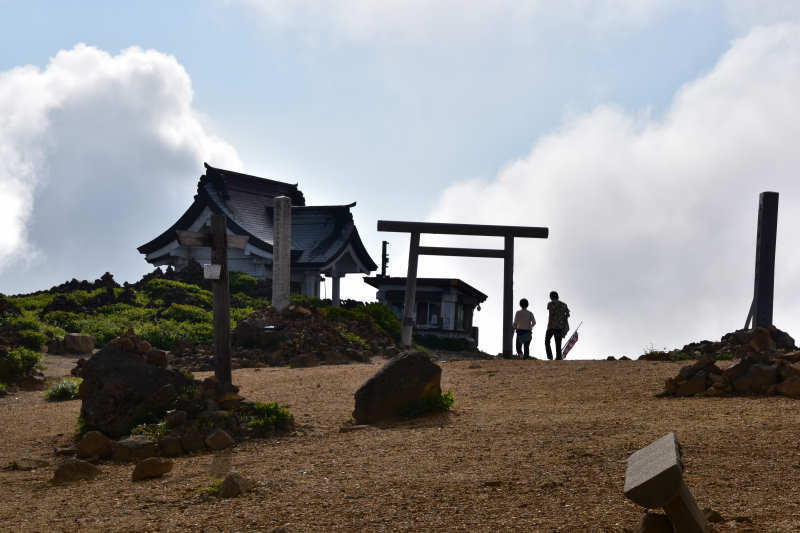 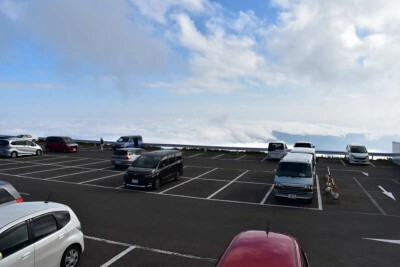 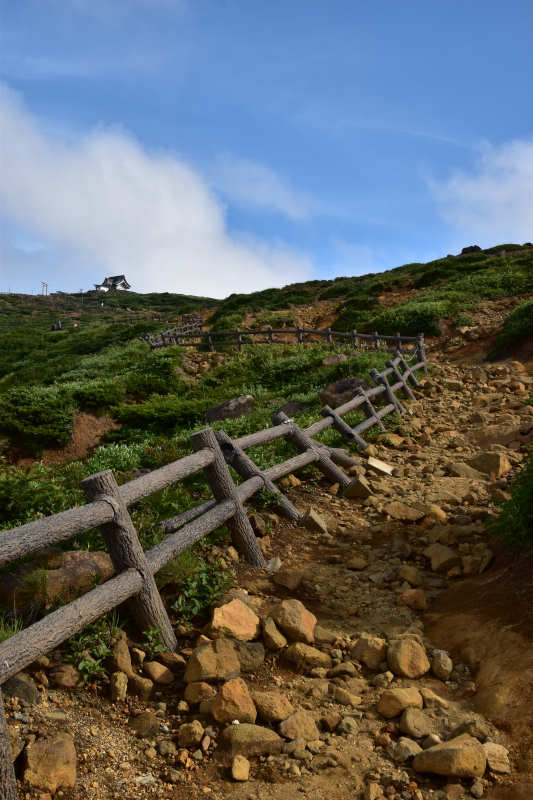 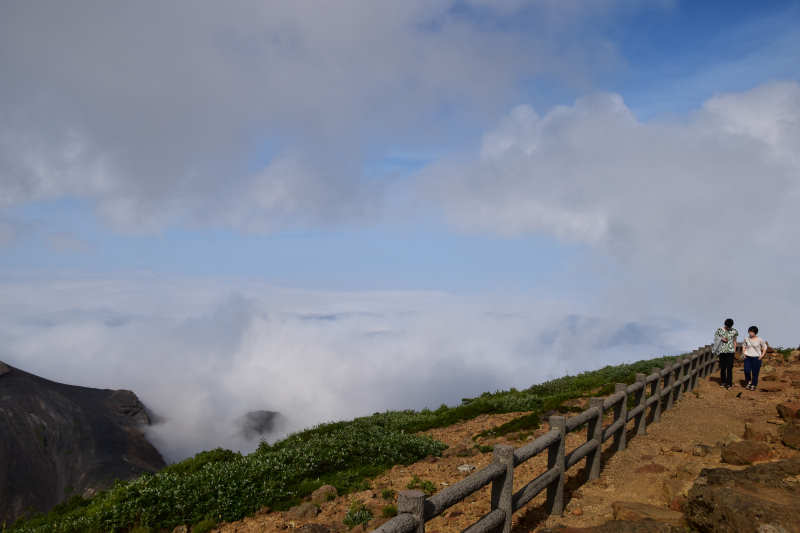 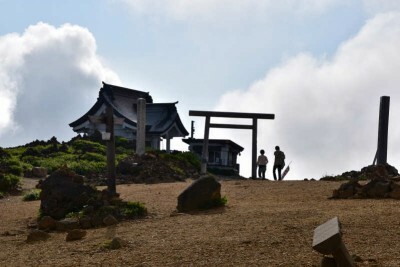 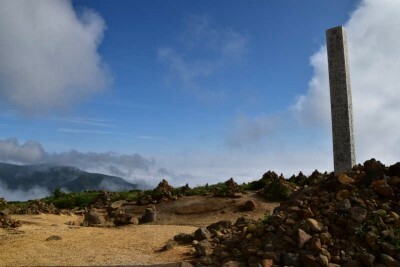 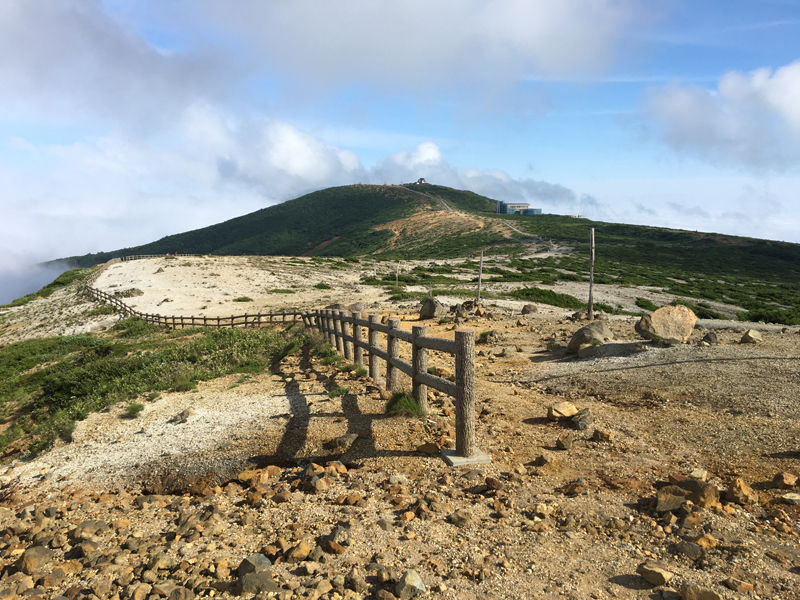 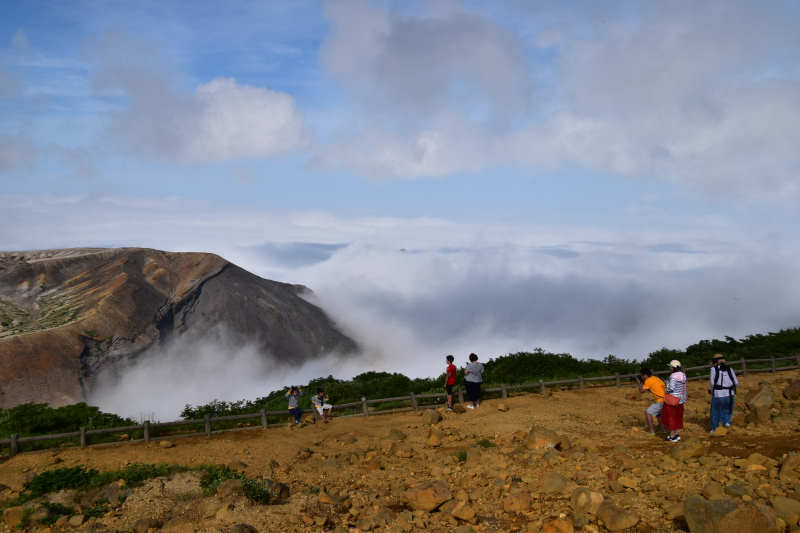 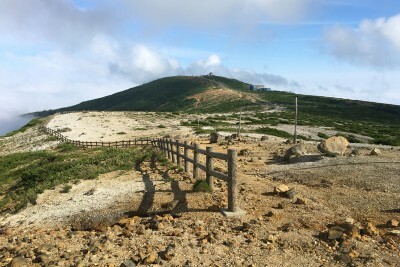 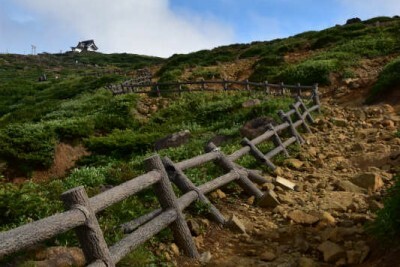 95 min by bus from Yamagata Station to Zao Katta Summit (Okama). 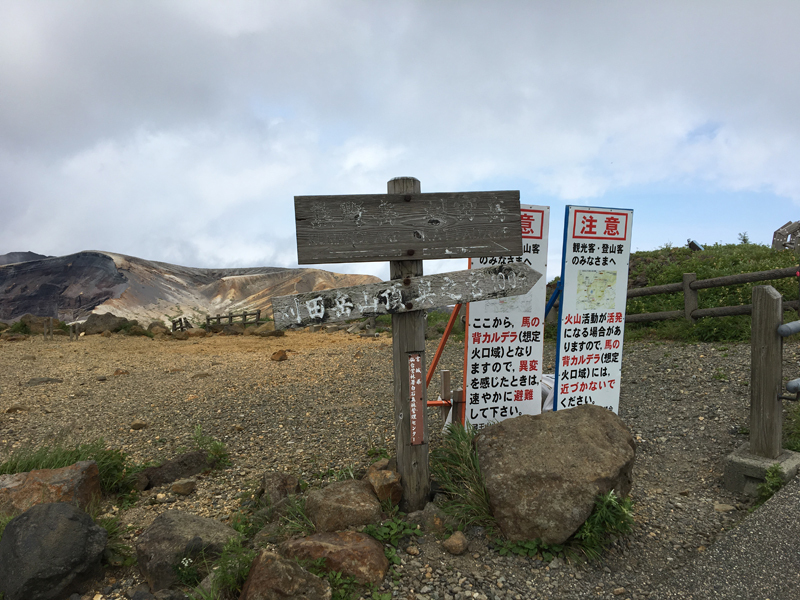 From there 5 min on foot to Zao Okama Crater. 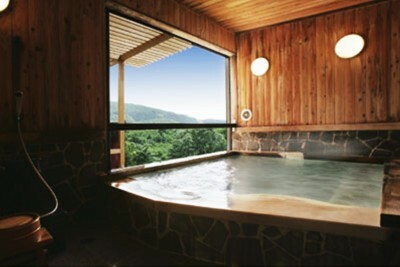 40 min by car from Zao Onsen to Zao Sancho Rest House go through Zao Echo Line.